What I made: Banana and Oat Pancakes with Peanut Cream and Roasted Bananas. What I thought: Banana and oat pancakes with peanut cream and roast bananas. It's all in the name, really. This is the breakfast of dreams. 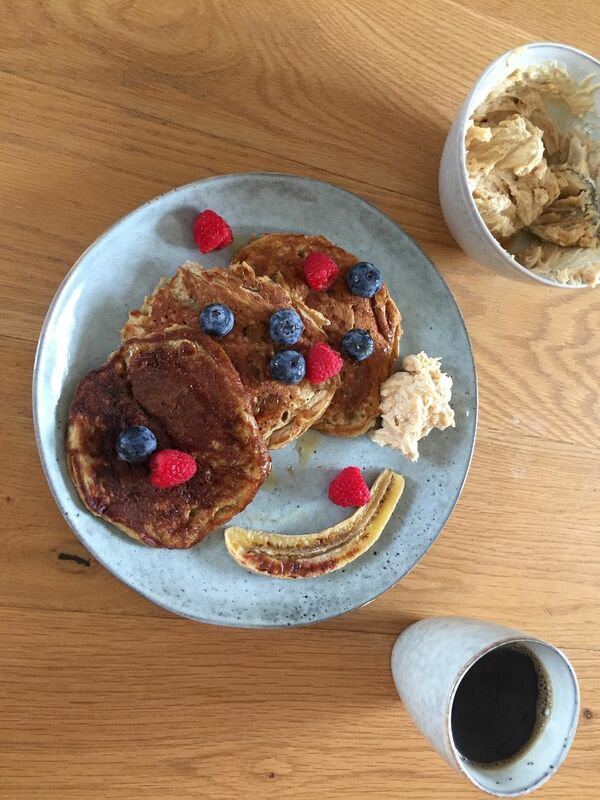 Relatively easy to make and incredibly satisfying to eat, the rolled oats and banana give the pancakes a thick, lavish texture whilst feeling strangely healthy (or we can pretend this is the case, at least, can¹t we?) They take slightly longer to cook than normal crepe style pancakes so they're the perfect brunch for a lazy Sunday or long bank holiday weekend. The drizzle of maple syrup and glorious accompanying roasted banana makes them naturally sweet, contrasted with the sharpness of the forest fruits and the showstopping bitterness of the peanut cream. It¹s a heavenly combination of soft, delicious flavours and textures, best enjoyed with a piping cup of black coffee or entire pot of tea. A note on the peanut cream - whilst the mascarpone no doubt makes it the creamiest, most luxurious peanut butter you've ever tasted, you probably only need half the quantities mentioned in the book. I was left with an entire bowl of the stuff, so if you'd rather not waste any (or be eating it on toast for the next few days), don¹t be afraid to divide the quantities in two. I also took it a step further and mixed the remaining mascarpone with nutella, to make a chocolate cream for the peanut-butter haters out there. It was divine, and so worth the extra few minutes of effort. So, to wrap up, these pancakes and their many accompanying treats have shot to the top of my favourite breakfast list and I urge you to give them a go. What I thought: Baked eggs has got to be one of my all-time favourite brunch dishes. 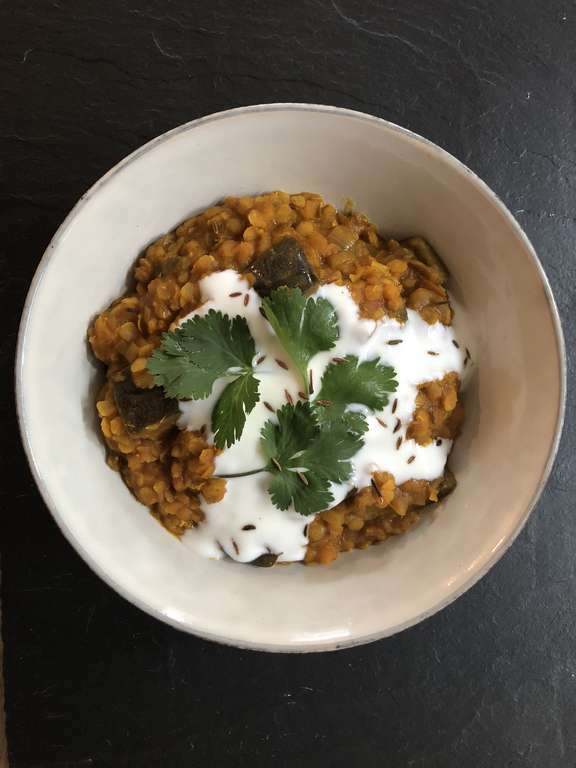 I thought I had tried it all but when I clapped eyes on this enticing recipe I realised I've actually never given a curry-based sauce a go, despite the fact that it makes so much sense. The subtle spicing in the tomato sauce and the use of turmeric to coat the vegetables gives the dish bags of flavour and works perfectly with the oozing eggs. I'm not a massive fan of okra so I used courgette instead and this worked really well as a substitute. It is definitely worth taking the time to make the sides included in the recipe as the yoghurt in particular, with a vibrant hit of lime, is a great addition that really ties all of the flavours together. 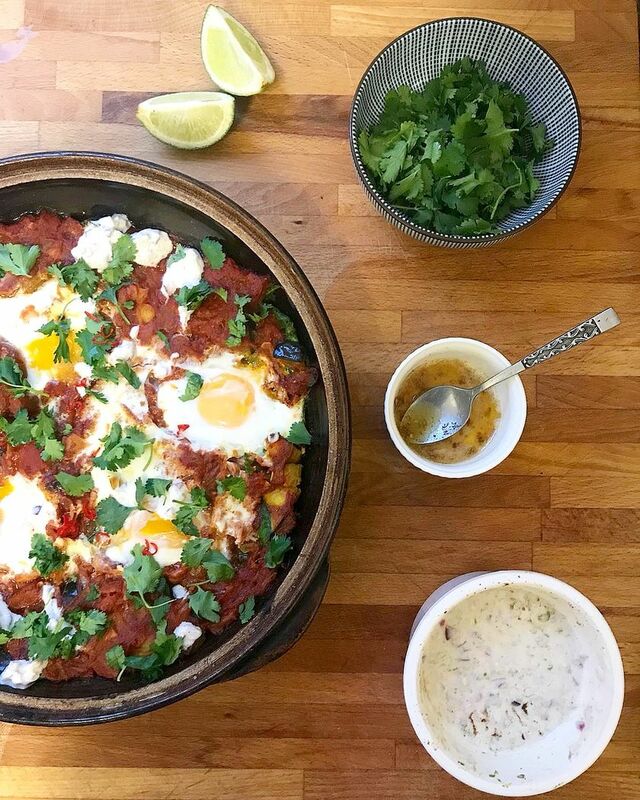 Being the firm advocate of brinner that I am, I made this one night after work and it worked really well as a quick midweek supper, but I can see why it would make for a lovely leisurely brunch too and will definitely be making it again as soon as possible, at whatever time of day the urge strikes! 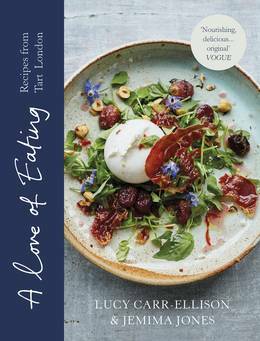 What I thought: It was SO hard to choose a recipe to cook from this book. They all looked fresh and tasty, and also possible, which was nice. After flicking through it numerous times, whilst it howled with rain outside, I settled on comfort food. The salads and sharing plates will get their chance soon. April showers need bread, soda bread. 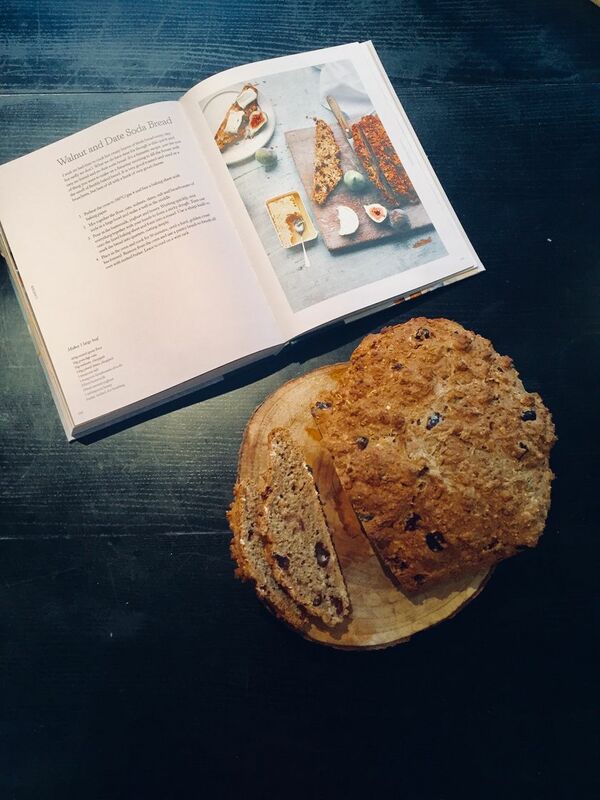 Being allergic to yeast means that 99% of bread is off-limits, so I have practised various soda bread recipes and am yet to find one that could compete with my mum's… Until now. The inclusion of nuts and dates make this soda bread smell fantastic, and the crunchy crust contrasts beautifully with the soft centre. I have so far eaten it with apricot jam, butter, cream cheese, honey, ricotta, eggs, cheddar and pickle… and can assure you it goes with all of these. A tasty way to indulge like a bread-eater. 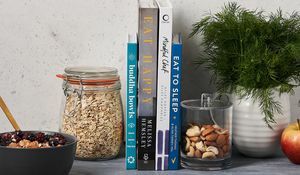 What I thought: I’m a big comfort food lover so as soon as I picked up A Love of Eating, the rich, slow-cooked pork and fennel ragu jumped out at me as something I’d love to try - and it didn’t disappoint! Although it takes a couple of hours to cook, for most of that time you just leave the ragu to simmer, so it wasn’t a case of spending all evening slaving over the hob. More importantly, this gave me plenty of time to drink the wine that hadn’t gone into the sauce (very important for quality control purposes). 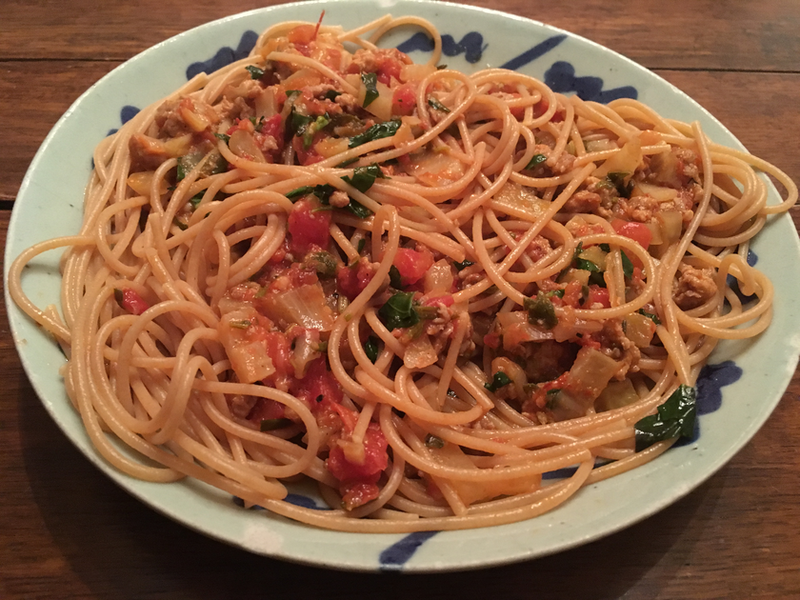 Once cooked, this made for a warming and delicious dinner - and made a nice change from my usual go-to Spag Bol. The hint of chilli added a pleasant kick and I loved how herby and fragrant it was. Definitely a recipe I’ll be making again! What I thought: Labneh is very easy to make. Everyone says this and I had assumed they were lying but, it turns out, they were not. It requires almost no skill or effort and relatively little time to create a perfectly delicious dairy feast. Lucy and Jemima serve this dish as a side, which sounds decadent and inspiring, but I made it for a quiet Saturday lunch and regret nothing. There are flavours and textures galore and it was only my iron will power that kept me from licking the plate. 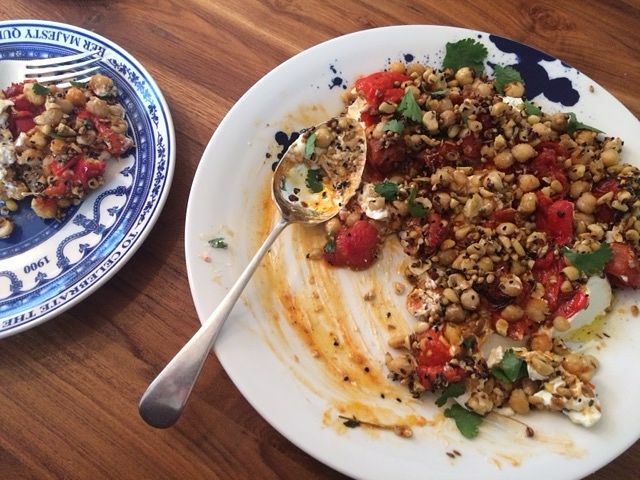 You have creamy labneh, sweet and sticky roasted peppers and tomatoes, filling and carby chickpeas (the greatest legumes), spicy seeds and crunchy nuts. The hazelnuts – irresistible! The leftovers were excellent the next day and I wish I was eating it all again right now. 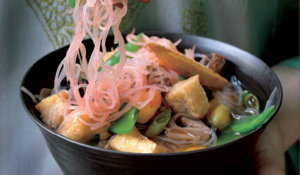 2018's best cookbooks to help you eat nutritious, healthy and delicious food.